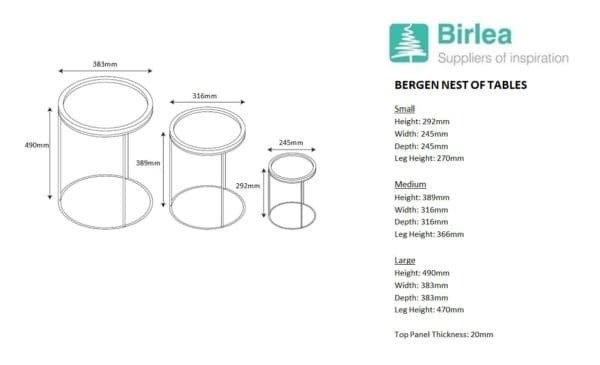 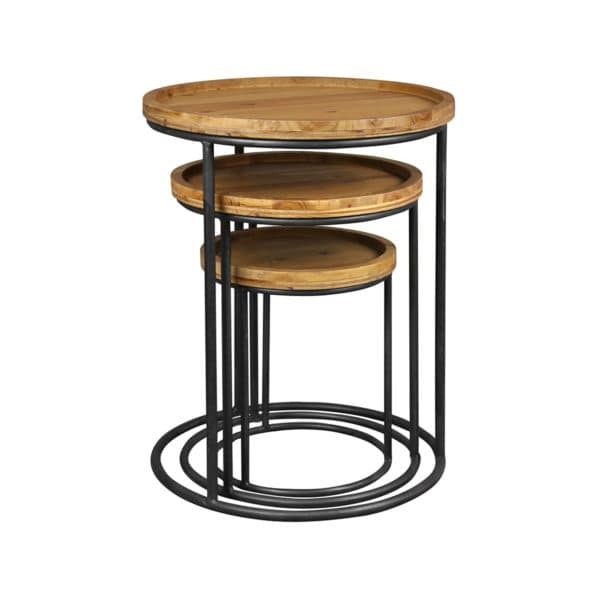 Make your living space truly flexible with our edgy Bergen nest of tables. 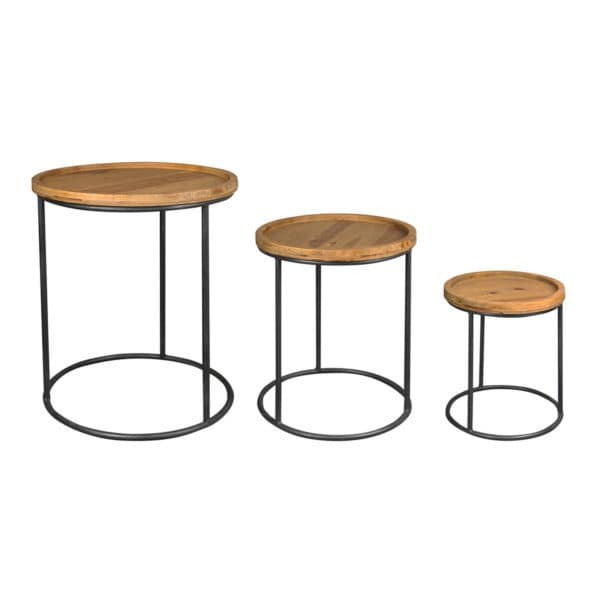 Featuring a large, medium and small coffee table these functional tables are designed to stow away neatly – perfect for homes with small, restricted spaces. This stylish set of three nesting tables have a perfect mix of panelled wood and a raw metal base, creating a contemporary 2-tone look. 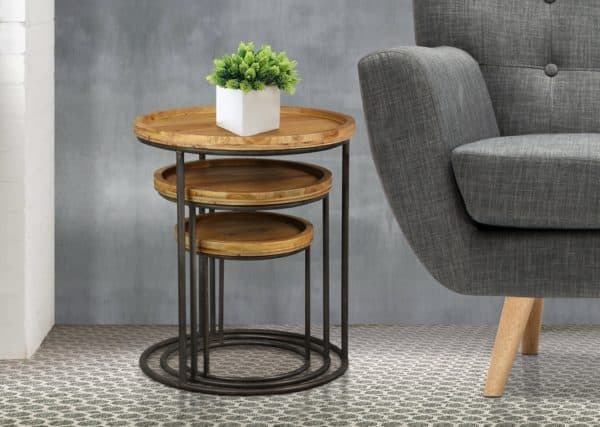 These coffee tables can also be used as a makeshift bedside table to rest a reading lamp on.